The essence of riding is personified when one rides the right way. Riding safely with the proper techniques is undeniably one of the most important aspects of riding. Needless to say, the highest number of accident on roads today are due to negligence. Keeping this in mind, our mission is to help educate everyday bikers on the right way to ride. 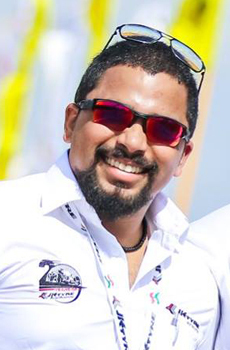 Our Riding & Racing Academy is headed by National Championship Racer Mr. Abhishek V. We strive to give bikers the best learning experiences through practical sessions and well-designed classrooms. We indulge bikers in exercises in a controlled environment which replicate most of the hazards faced on road so they are prepared even for the most treacherous of rides. The aim of the Motorcycle safety courses is to teach both new and experienced riders to be efficient motorcyclists and masters of the machine. We boost the confidence of our riders by helping them learn the art of handling their bike and being equipped with skills required for the worst. The syllabus is created with utmost detail and helps unlearn the mistakes riders may have carried from the street. We help riders understand the limits of the bike by developing their muscle memory so that they have better bike control and greater efficiency on the road. Our riders receive training on a variety of aspects related to riding including tackling stressful scenarios and volatile street conditions. Once our riders learn the ethical way to ride, we provide them with Track Day services where they can practice on tarmac tracks in a controlled environment with no obstacles. Riders can also avail one on one training from our instructors. This class will give you a head start on familiarity with the motorcycle’s controls, basic motorcycle operation and riding skills. The course helps you learn art of motorcycle the right and the most efficient way, which removes the element of unlearning the mistakes carried, keeping you ready for the next level. 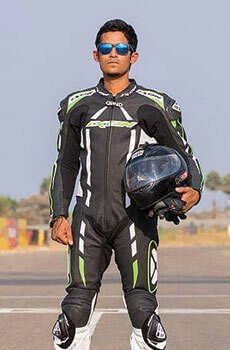 We are happy to provide you with Armour Jacket and knee guards on rental. Limited number of bikes can be rented out. Helps rider understand motorcycle dynamics control and maintaining skills and safer street strategies. Classroom instruction in street strategies and mental preparedness for safe motorcycling is combined with range exercises that cover cornering/swerving/stopping/hazard avoidance. scenarios and volatile street conditions.